I decided that all the clothes I put Emma in had to compliment her amazing hair,and after flicking through an old Tatler shoot (full of models in a lush green forest), I suddenly had an idea. "Queen of all she surveys." Countryside royalty, ruler of the forest and field. And what better to dress her in than the rich colours of green and gold? Emma was a great model, so willing to do some pretty crazy things- as the last photo illustrates! It was really cold, but she still obligingly posed in sleeveless dresses with nearly bare legs. So a very big thanks to you Emma! I love to style other people, it is such fun! And it's also nice to work out what will suit others, compared to oneself. The first outfit is comprised of a black bodycon dress that used to be my mum's, a mens big green shirt (one of my dads old ones) and my great-granny's shoes. (We think they are thirties.) The necklaces are various vintage ones, from relatives, markets or thrifted. The belt is from a charity shop. The little gold shrug top used to sit in my dressing up box, before being relocated to my wardrobe! The second outfit is probably one of my favourites (and so are the shots!) The green dress is one my mum bought off ebay a few months ago, and I've been really looking forward to showcasing it. The cloak is one of two that used to be owned by my maternal grandma. (See the post with me in the other cape for the full story on how my grandmother would wear it with bare feet in winter!) The leather belt is thrifted, and so are the ankle boots. You can tell that Emma is a ballet dancer in these shots, as her natural grace is apparent! I especially love the one taken of her lying on tree, I wanted a kind of Titania-esque image. The third outfit, well, let me begin with those boots! Emma has size three feet, I have size seven and a half! So you can imagine styling her in my shoes was a bit of a problem. Luckily, I have kept these amazing seventies boots ever since I grew out of them, as a kind of ornament in the corner of my shoe display. I'd never be able to part with them. But guess who fitted into the leather beauties perfectly? And they do look fabulous on her. The shift dress is a vintage piece, I think of Indian origin, purchased from a vintage shop by my mum in the nineties. You may recognize the location from my leather coat post. It is a spot about 5 minutes walk from where I live, and seems to be stunning in every season. We trekked to some fir trees for the fourth outfit. (Also seen in the Narnia post- yes, quite a few of these locations have been reused!) The green shift dress is from Beyond Retro in London, but is now nearly too small for me. It was quite short so I added a white underskirt from my dressing up box. The cardigan is one of my favourites, from a charity shop. The silk scarf was inherited, and it is those gorgeous boots again! On a whim, I asked if she would mind lying down on some snow covered branches, expecting a refusal. But she immediately did, and I snapped her as soon as I could so she could get up again. Unfortunately it is smaller than the others as otherwise blogger cuts off part of the image. I really like how her hair contrasts with the boots in the last few shots, because of that last burst of dying light. I thoroughly enjoyed the shoot, as I relish any chance to jump behind the camera! I would love to hear your feedback. All images copyrighted to me. I've really appreciated all the thoughtful comments recently, they have been wonderful! So thanks for that, and have a great week. she is so gorgeous! awesome photos! This photoshoot is amazing. Emma has a wonderful hair. Good styling, btw! Love the second outfit!! That dress is gorgeous!!! Great photos!! Beautiful photographs. I really liked how you styled her to highlight her gorgeous hair. Well done to both of you! Wonderful photos....your obviosly just as good as the photographer/stylist as you are as a model.I really love these photos,Emma has great hair (I hope she loves her red hair as much as I love mine),and its got great volume to it too! Loving the cape and the cardigan the most,both great pieces ^^ I so wish I lived in the countryside like you....where in England do you live? you have quite a talent for styling. emma is an ethereal beauty. i want her hair!!! fantastic job, both of you! Beautiful photograhy! You look beautiful too! I love your blog! Please come visit my blog! Fantastiche foto e favolosi outfit. 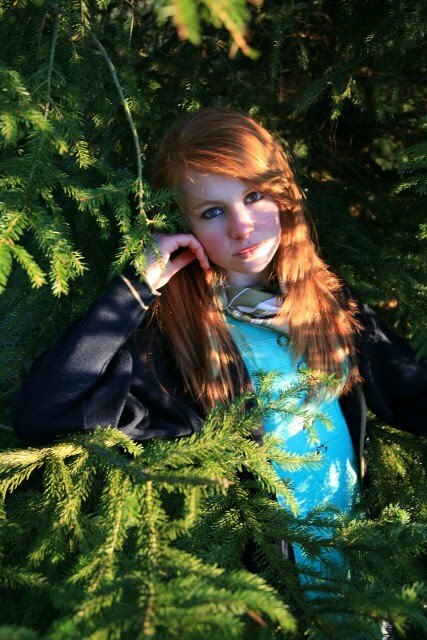 I love the one of her leaning against the scraggly old tree. Lovely shots and outfits. The pictures came out very well, but I think you could have editted out a few, not because I don't like some, but because I think there are just too many, which makes the whole think seem kind of repetetive and boring. I love the colour of her hair, its amazing! The photos are very serene! I absolutely adore every single one of these outfits! They are amazing, not to mention the photography and settings! All the photos are beautiful! great styling!!! i like how you made her boots match with her hair! You are such an amazing girl! Beautiful photos! And I love your hair. i adore this, so beautiful. i want those clothes, and your friends hair colour. i'm so sick of brown. Each outfit is gorgeous! Great job as stylist :) I wish I had your wardrobe. Thanks to everyone who has commented so far, I really appreciate it! Yumie09- thanks for the constructive criticism. However, I worked hard to only choose 4 or less images of each outfit (quite a mean feat I can tell you!) and many were taken in different locations. And hey, I'm still only 14 and learning about photography all the time! This is sooooo gorgeous. Her hair is lovely. Wow, she's soo gorgeous! And you did a great job styling! You really did an awesome job with her, and you're right - everything compliments her hair. Beautiful shots! 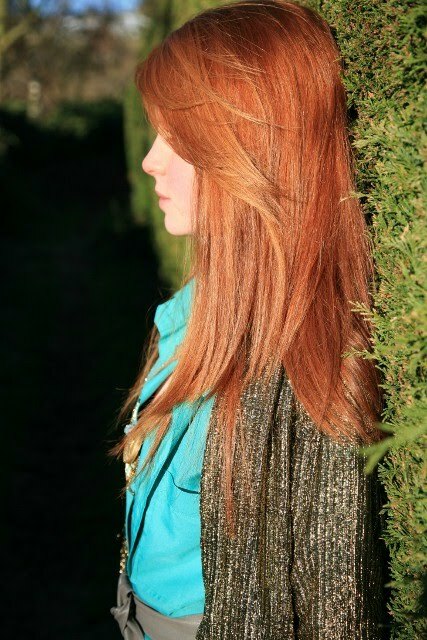 Lovely photos, and your friend is gorgeous, I love her hair! These photos could be out of a magazine I think. Wow this is gorgeous! I think it's cool that you have so many photos, because it creates a story and the mood! Emma is so gorgeous. You did a fabulous job at styling and the shots are amazing!!! I can't get over Emma's hair either.. the color is simply stunning!! Waauw these photographs are awesome, the girls is so pretty & I love the clothes.. Beautiful! Your friend is absolutely gorgeous, i love her hair.. And all her clothes look perfect on her! Beautiful photos, I especially love the one with Emma leaning on the tree. Great job! This is so stunning! I love the seventh picture I'm guessing she's a dancer? Her hair is gorgeous, and great styling! Your photo's are stunning as always! You're right, your friend is a great model! And you really did a fabulous job styling all those outfits, love! What an amazing post. These photos are fantastic, and I especially love the one where she is in the second outfit and drooping over a tree as the grass looks like clouds. I love your vintage pieces, I am getting more and more into vintage myself. Thanks for this post, I wish I had friends that would be willing to do that. But then-again, I wish I had photography skills. Oh well, thank goodness someone does. I want her hair. Attatched to my head please. Your friend has so beautifull hair, she's a very english rose! And I love this countryside location!